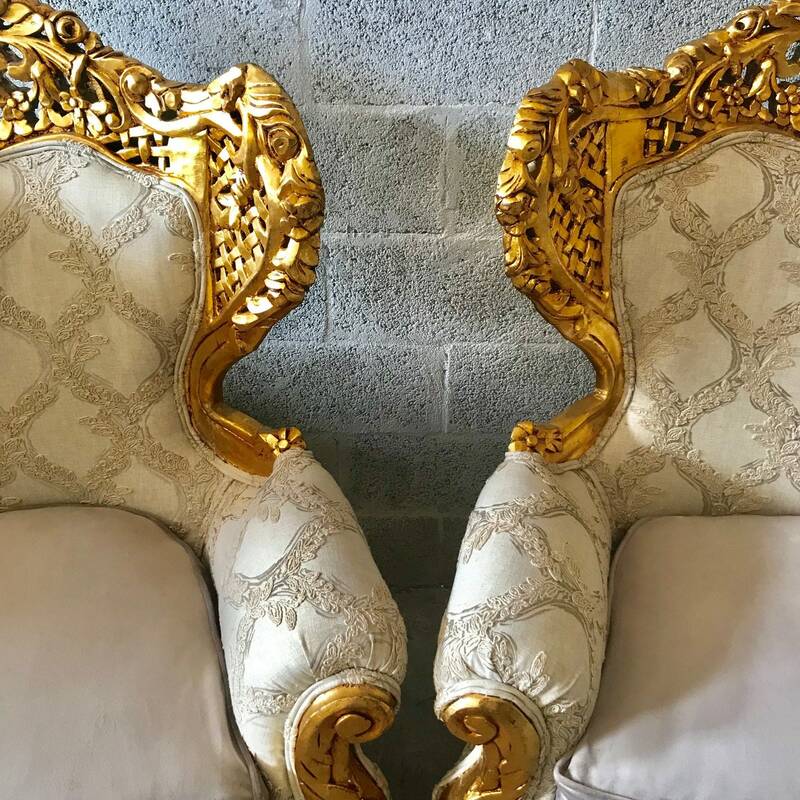 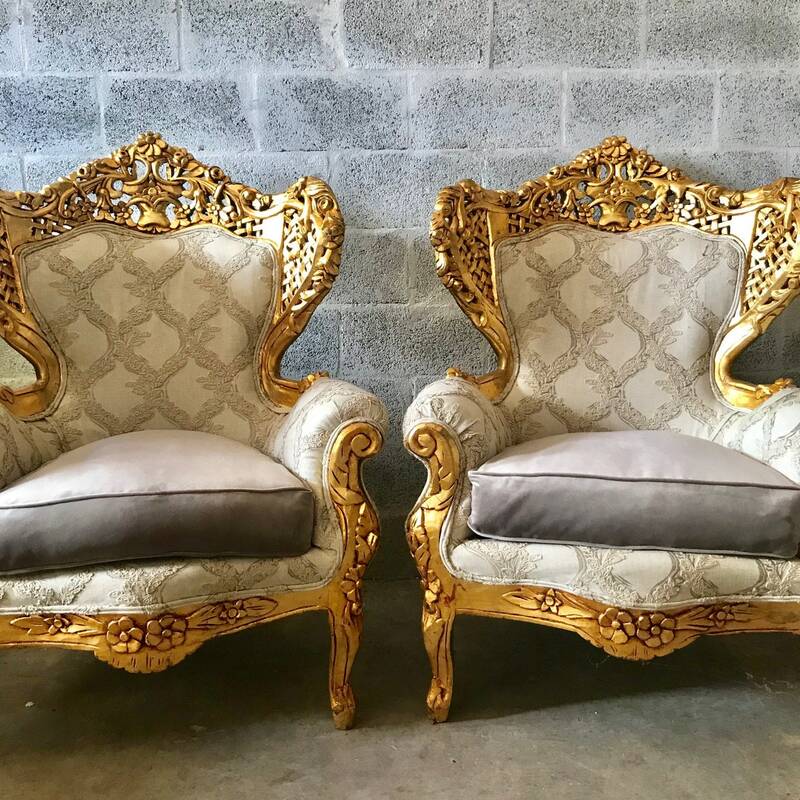 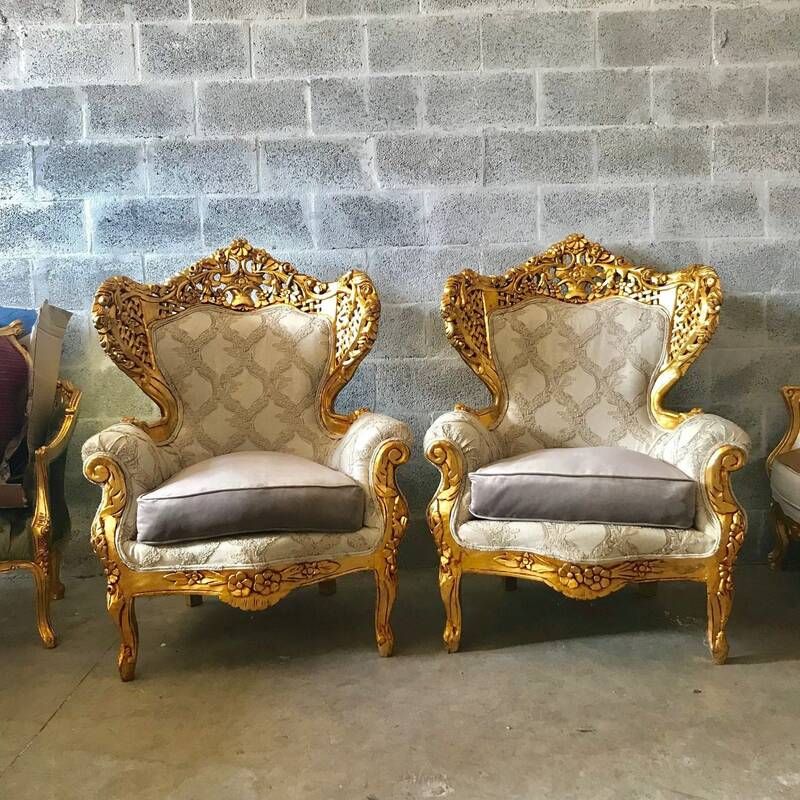 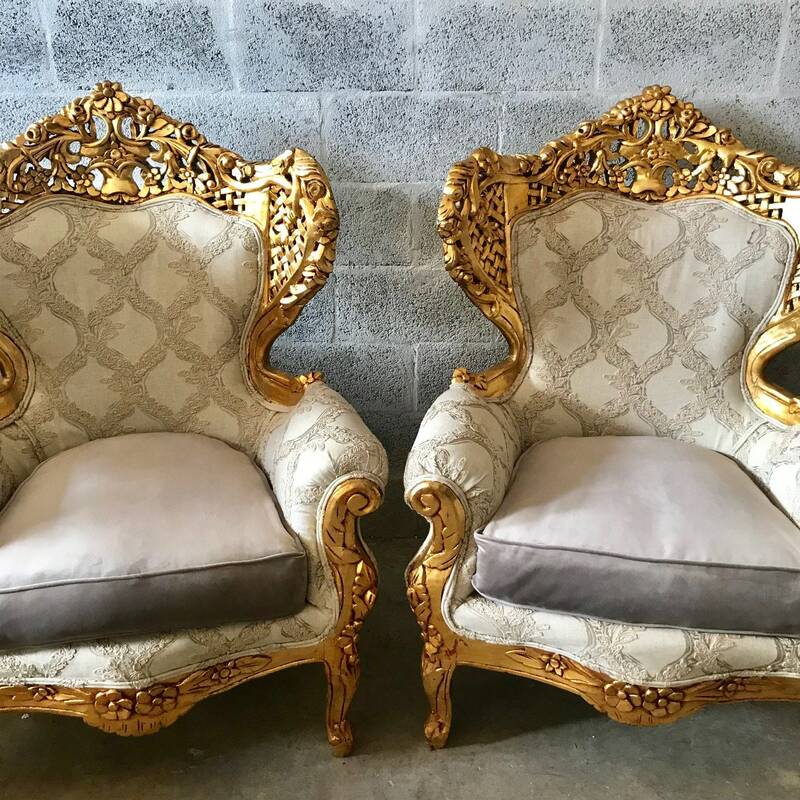 Love this set of TWO Rococo Throne chairs. 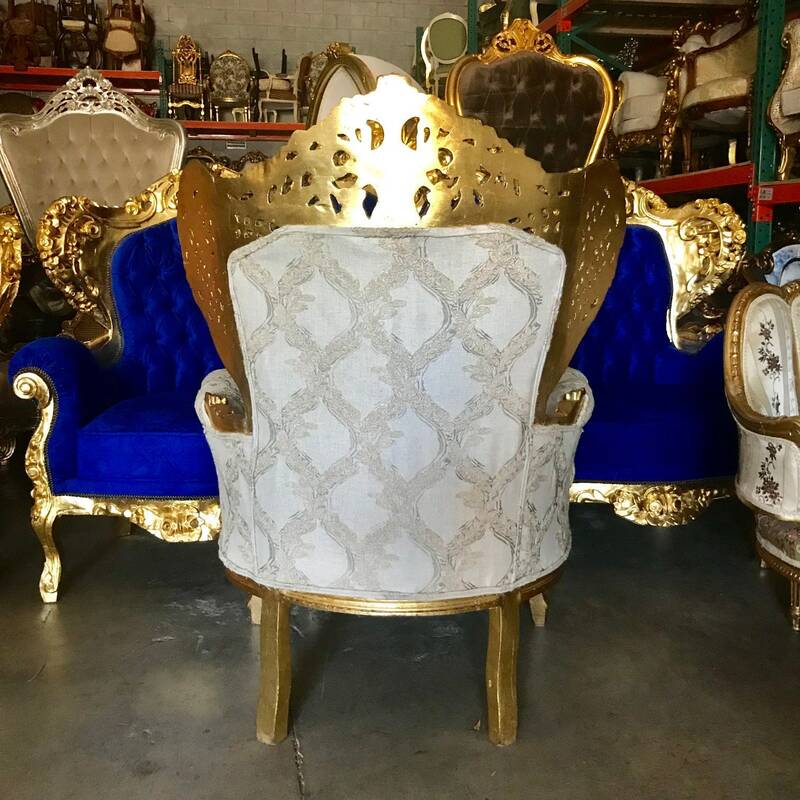 The item came from a 5 piece set. 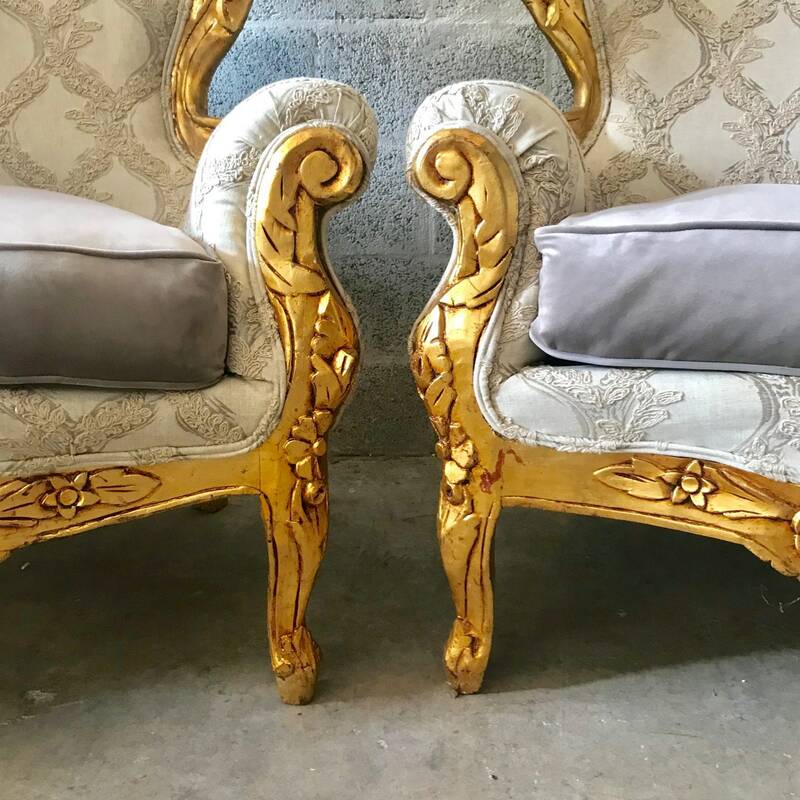 3 of those pieces were reupholster in a blue/gold damask along with the sofa but we decided to make two chairs using high end designer fabrics showing some raised grays and a velvet for the sitting cushion. 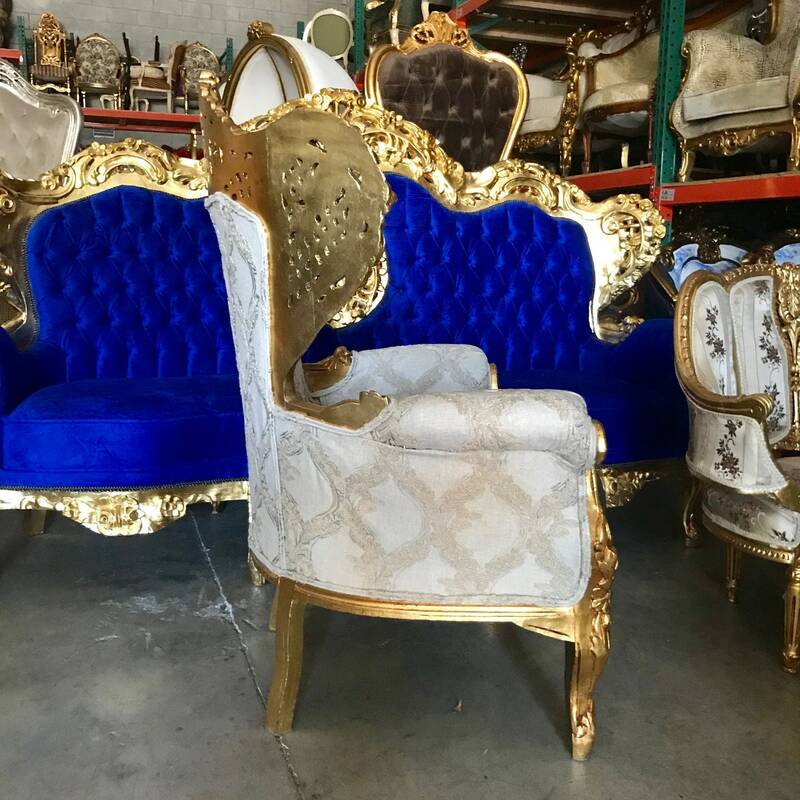 The price of $1,160 is per chair. 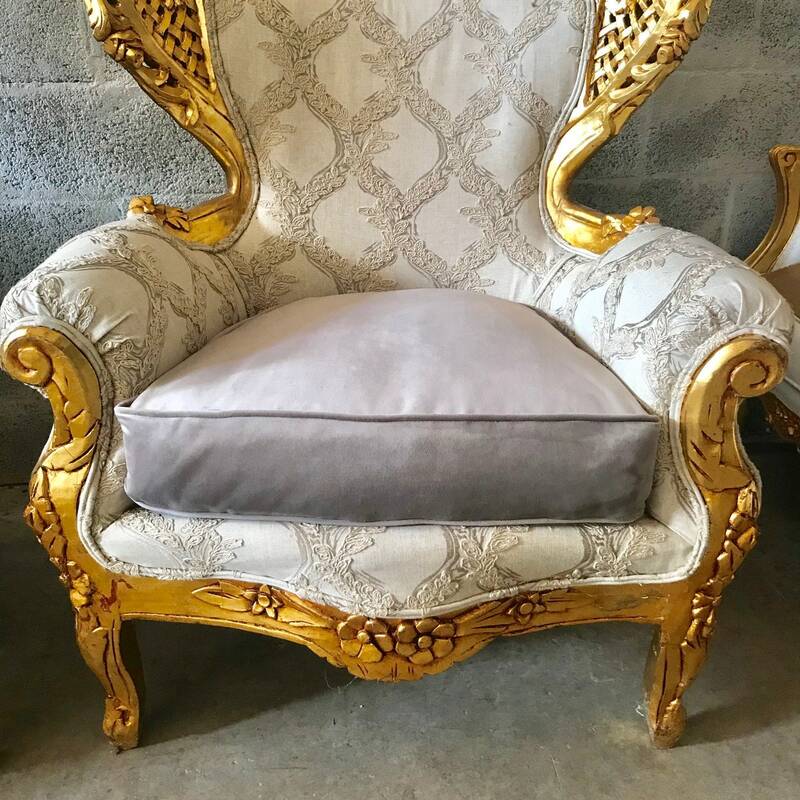 This is a throne style heavy and super sturdy chair. 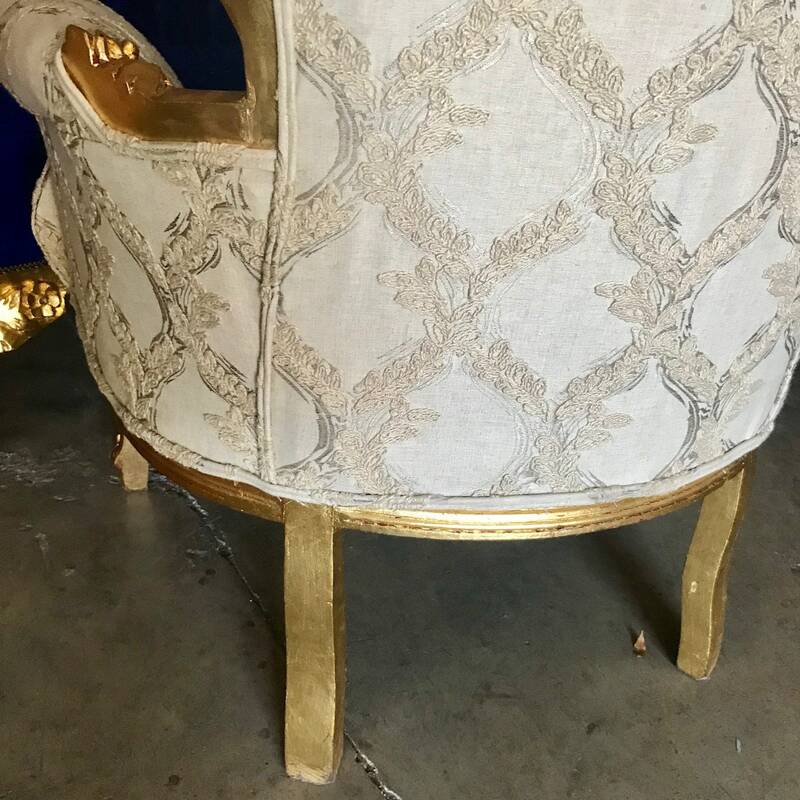 The trim was refinished in double piping. 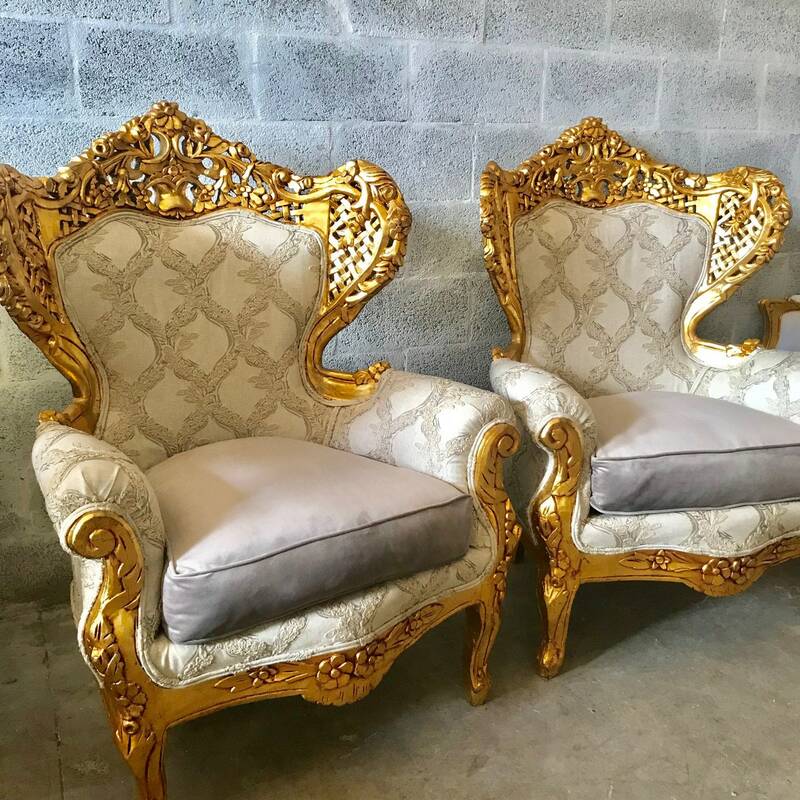 Dimension Throne Chair: 48.5"H x 36"W x 33.5"D. Floor to seat 21.5"